A day after being teased, Meitu has officially launched the Meitu V7 smartphone in China. 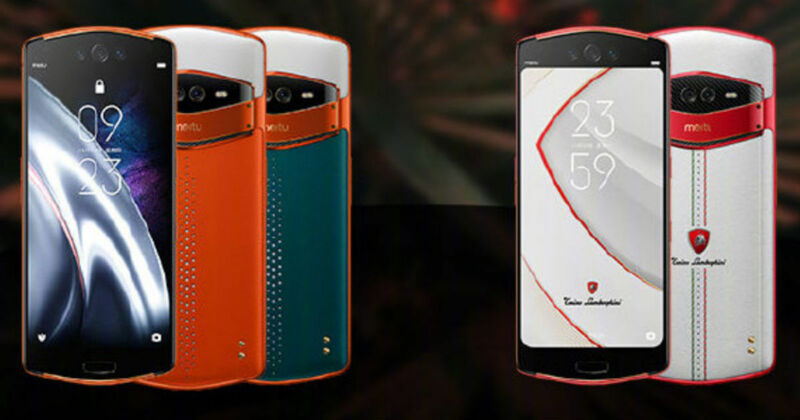 The device has been launched in two avatars — a standard edition and a Tonino Lamborghini Limited Edition with aesthetics inspired by the sports car. Both the smartphones have triple selfie cameras and Snapdragon SoC as the highlights. The V7 is also probably the last smartphone for the time being that has been made entirely by Meitu, since going forward, the hardware business of Meitu’s will be handled by Xiaomi. In terms of specifications, the Meitu V7’s most attractive bit is the front camera module. The front of the smartphone features three cameras — with a 12-megapixel low light sensor, a 20-megapixel sensor with an ultra wide angle lens, and an 8-megapixel sensor that adds depth to photographs. This unit is placed in a rather thick bezel above the display, and also includes a dual-LED flash module. The rear imaging unit, meanwhile, includes a 12-megapixel + 8-megapixel camera module, coupled with optical and electronic image stabilisation and a dual-LED flash. Powering the entire setup is the Qualcomm Snapdragon 845 platform, along with 8GB of RAM and 128GB storage. The display has a 6.21-inch OLED panel, opting for thick bezels above and below the display instead of implementing a notch. The phone has 1,080 x 2,248-pixel screen resolution, a 3,500mAh battery powering the entire package, and runs on Android 9.0 Pie inside. The standard edition smartphone is a pretty premium package in itself, featuring premium, embossed leather at the rear, along with metal rivets and inlays. It is available in two shades — Cabernet Orange and Green Dream, and is priced at RMB 4,799 (approx. Rs 48,800). The limited-run Tonino Lamborghini Edition bears the same specifications, but is offered in 256GB and 512GB storage options. It gets a red metal chassis with white leather at the rear. The glass housing of the camera has carbon fibre texture inlay and the bottom of the rear has four rivets with 18 karat gold plating. The Tonino Lamborghini logo is placed down the centre, with the Italian colours of red, white and green stitched along. This special edition premium variant is priced at RMB 8,888 (approx. Rs 90,400) and RMB 10,888 (approx. Rs 1,10,800). On an overall sense, the Meitu V7 seems to be a pretty competent smartphone, at least on paper. Meitu would also have applied its imaging expertise and knowledge to further refine the camera software, and the Tonino Lamborghini Edition makes for a very premium appeal as well. In fact, seeing how mainstream devices are breaking the Rs 1,00,000 price point, this one almost seems like a bargain.